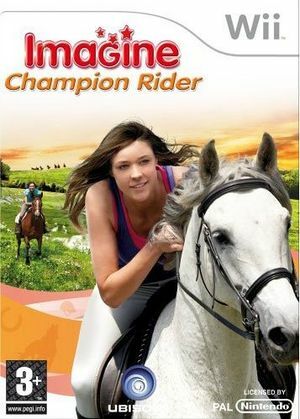 Imagine Champion Rider also known as Abenteuer auf dem Reiterhof: Die wilden Mustangs or Adventure on the Ranch: The Horse Whisperer, Laura's Passie : Wilde Paarden or Alexandra Ledermann: The Stud in the Valley in Europe. As Lily, you are on holiday in a nature reserve. There, you will take care of horses and enter competitions with them. You will also have to save wild horses threatened from extinction and tame them. The graph below charts the compatibility with Imagine Champion Rider since Dolphin's 2.0 release, listing revisions only where a compatibility change occurred. This page was last edited on 25 February 2018, at 19:21.